I can understand why some people hate problem solving. 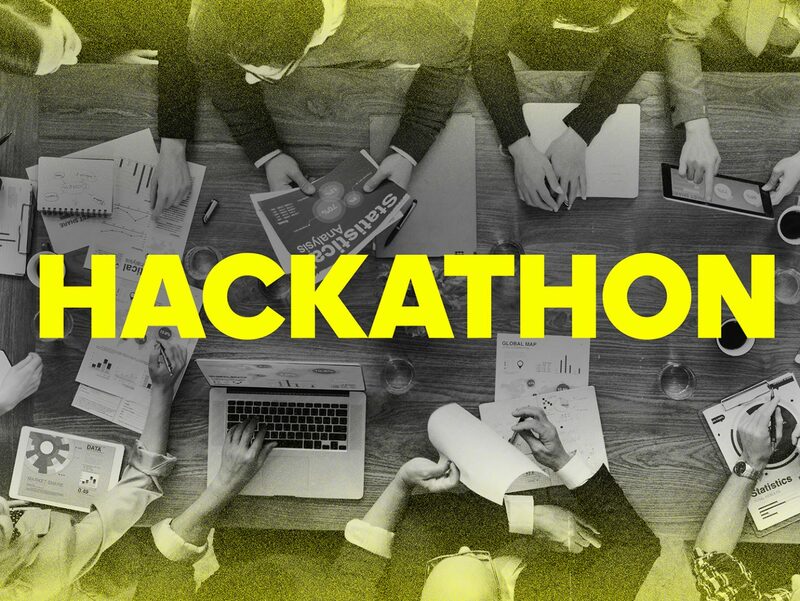 Brooding over something can feel like a marathon when all you want to do is go for a short jog… So we decided to try the hackathon approach to see how we can combine both: coming up with a solution in a fast and fun way. 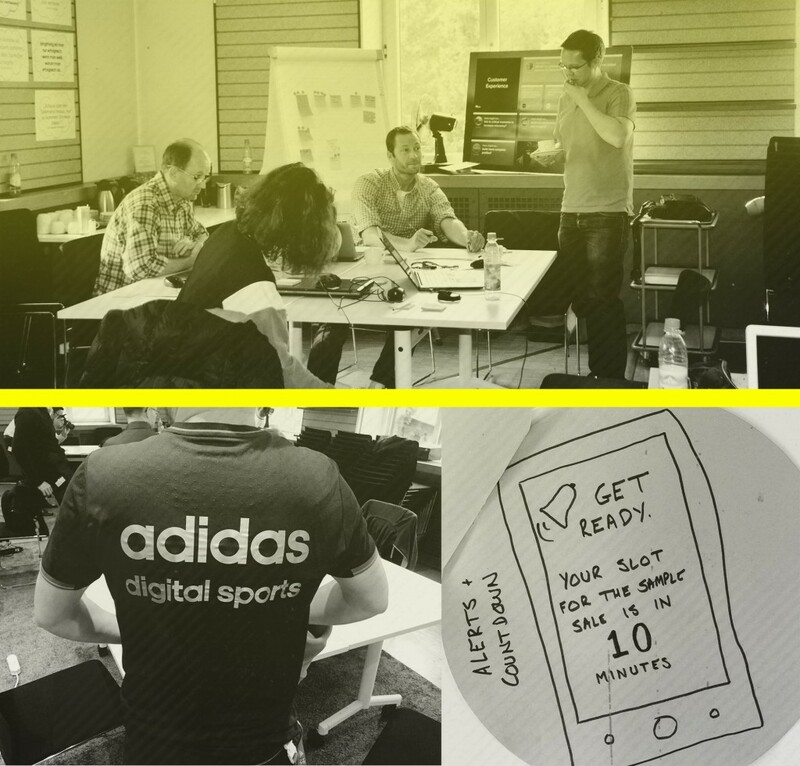 Over the course of two days, a team of 16 volunteers from across the entire spectrum of the company signed up to take part in the very first adidas Group Hackathon – an exercise which involves identifying a problem and, by the end of the two days, being able to present a quick solution. As not all of our volunteers had taken part in such an exercise, we were taken through the basics by a team from one of our technical partners, Sales Force, to show them the ropes. Once we’d got our heads around the concept, we started the hackathon by splitting up into groups for a kind of brainstorming session to pick the topic we’d be working on for the next couple of days. Identifying, approaching and solving a problem within two days? All you need is the right setup . As with any brainstorming, we came up with a load of really cool ideas but, in the end, we only had time to deal with one – after all, we only had two days to fix it. We finally worked them down to two and then, from these, we voted on the final task: adimeetnow. With this, we wanted to create a mobile application that makes the booking of meeting rooms more efficient. As with any organisation, a common problem is that we don’t have enough meeting rooms to cater for the number of meetings we actually have. Quite often, people book rooms, but then don’t actually end up using them. adimeetnow changes this. Our idea is actually really simple, but we think it’ll bring some benefits to the way we do things: If you’ve booked a room, you scan a QR code printed on the wall to check in, showing that you’re actually using it. If you don’t, the room will be freed up to others after ten minutes. What we wanted to show with this event and different way of working is that we at Global IT are able to provide solutions in line with speed – a concept within our department to deliver in a faster and more agile way – and working together with people from across the business towards one common goal. I have to admit that, by the end of the two days, we weren’t entirely finished and we still have a bit of work to do to come up with something final… but I’m ok with that. In general, the event was very well received and we’ve taken on some feedback that will make the experience even better the next time. What’s your preferred method to find fast solutions? We are on a thrilling IT transformation journey. Love challenges, have a fresh perspective and mad skills? I'm curiosity to see how different departments or even a task forces with different backgrounds get solutions to the some problem. Maybe we could do a kind of adidas-group excellence Olympic games. well done for creating the space for people to co-create, collaborate and innovate. Too many companies confuse effectiveness with being 'efficient'. I do hope you continue to make the space for these sessions and look to support catalyst intrepreneurial behaviours within your organisation. We go to lots of conferences and unconference a that have apps where the bar camp sessions are pitches from people wanting to share skills, create space to generate ideas, learn new skills and get feedback. I would like to see such an app where meetups like meetup.com could allow people to pitch and create tribes and communities that move them and the organisation forward. IDEO.org have a design kit with short videos on the mindsets needed - I think it helps to ensure everyone embraces these mindsets. well done for creating the space for individuals to co-create, collaborate as well as innovate. Too many business puzzle performance with being 'reliable'. I do wish you continue to make the area for these sessions and also look to sustain catalyst intrepreneurial behaviours within your organization.